A few weeks ago, I read an interesting article about the Science of Rumors concluding that the worst way to fight a rumor is to ignore it. It is an interesting study because it leads me to my next question: How much of a past ruler's image is affected by their ability to squash rumors? Obviously the biggest invention to change how rumors were spread was the invention of the printing press around 1440. You may guess that religious material would be the hottest reads to roll off the presses, but that was not the case. Pamphlets and libels ridiculing the elite were the first best sellers. Instead of disseminating rumors through word of mouth, a deluge of printed material could now reach the masses. As a result, Kings and Queens were forced to make a painful decision….do they ignore the printed slander or punish the authors? 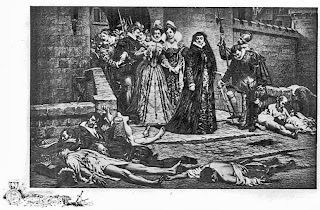 Queen of France, Catherine de Medici, best remembered for being responsible for the The St. Bartholomew's Day massacre, chose to ignore polemic pamphlets. 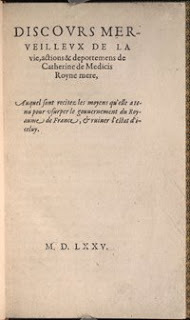 Around 1575, after the death of her son Charles IX, an especially misogynistic pamphlet was printed entitled Discours Merveilleux de la vie, actions et deportements de Catherine de Medicis Royne. 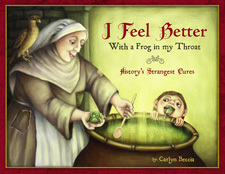 In it, Catherine was blamed for the St. Bart ‘s ruckus and ordering the murders that sparked the violence. (The basic gist of it was that she was the female devil incarnate sent to seduce the people of France.) This pamphlet was more than just tabloid trash. It was distributed widely and translated into German, English and Latin. It became so popular that it was even used to later discredit future female rulers, Marie de Medici and Marie Antoinette. What did Catherine do when she read it? She laughed herself silly. She even had the audacity to further quip that the author left so much out and remarked that if he had gone to her directly… then she could have given him much more juicy tidbits. Yet, Catherine is not remembered for her sense of humor. Her name has unjustly become synonymous with bloodshed. 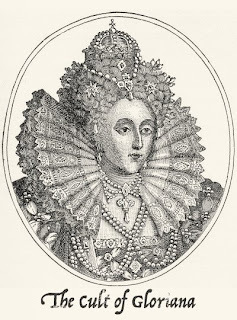 During the same time period, Elizabeth I of England would not tolerate any slanderous pamphlets attacking the crown. 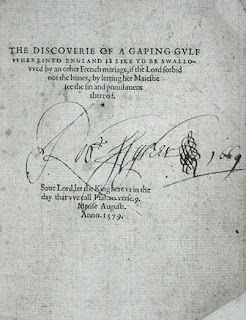 The zealous puritan, John Stubbs wrote a book entitled, The Discoverie of a Gaping Gulf whereinto England is like to be Swallowed by another French Marriage. 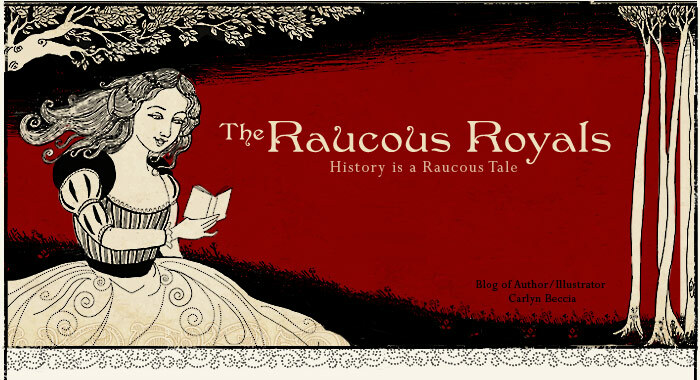 You can pretty much figure out from the title how Stubb’s felt about Elizabeth’s possible marriage to Catherine de Medici’s son, The Duke of Anjou. The queen was not enlightened by Stubb's work and she promptly ordered the public removal of his right hand.1 Ouch! Today, this may seem like a draconian punishment for a little free speech, but Elizabeth (and certainly her advisers) understood the importance of royal image making. A weak monarch was a matter of appearances. What do you think about the power of rumors? With the election just days away, how much of our voting decision is based on rumors? (1) Elizabeth may have not found the book amusing, but Stubbs kept his sense of humor to the end. Before his hand was chopped off, he delivered one last bad pun and said, “Pray for me now my calamity is at hand.” Then after they chopped off his hand, he managed to retain his composure enough to get out a “God save the queen” before fainting. Pamphlet from The Gordon Collection. Strage, Mark. Women of Power: The Life and Times of Catherine de Medici. New York, NY: Harcourt Brace Jovanowich, 1976. Lancelott, Francis. The Queens of England and Their Time, D. Appleton and Co., 1858. I worry about people believing some of the misinformation that the McCain is putting out about Barack Obama without actually checking out the facts. We all remember the George Bush campaign and Willie Horton. 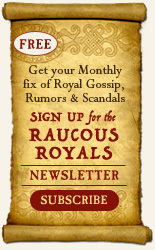 Yes, rumors do spread pretty quickly now. I am always suspicious of everything I read or hear. I would love to go back in time and get a sense of how much faith the common person put in printed material.